Concentrating on the taxation of individuals and closely held businesses. Randy is an Eastern North Carolina native. He graduated from Eastern Wayne High School in Goldsboro, NC in 1984 and then from East Carolina University in 1987 with a Bachelor of Science in Accounting. 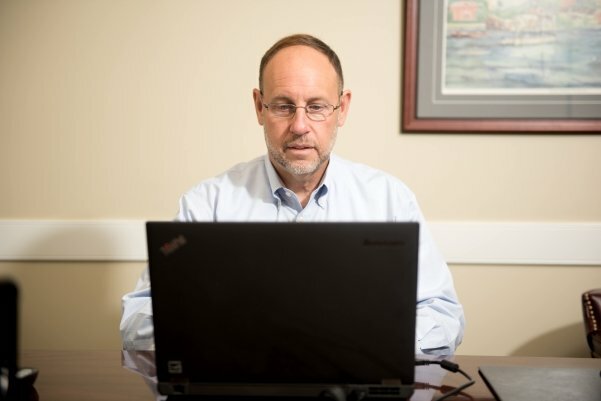 Randy has practiced in New Bern since 1988, with 13 of those years working for a national CPA firm, and he received his CPA certificate in 1990. His concentration is in the taxation of individuals, closely held businesses, estates and trusts as well as management advisory and bookkeeping services for those entities. His experience also includes non-profit and governmental accounting. Randy maintains memberships in the AICPA and NCACPA, and is a very active member of the community. He is a past president and current treasurer of the New Bern Breakfast Rotary Club and he has also served the New Bern Area Chamber of Commerce, serving on its board twice previously and is a past chairman of the finance and membership committees. 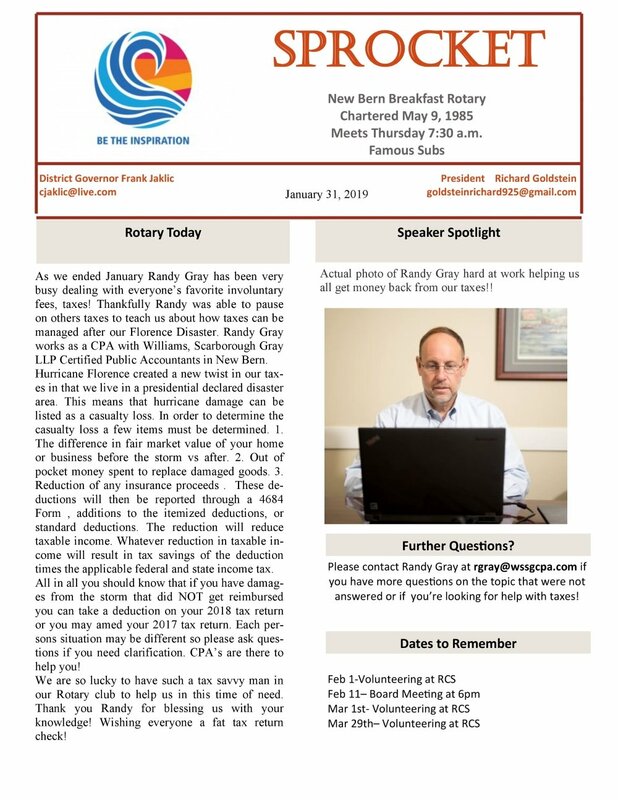 In January, 2019, Randy was featured in New Bern Breakfast Rotary’s Sprocket Newsletter. We are your accounting partner. Let's get started. Your partner for accounting, auditing, taxes, corporate management, and financial services. We have your business and personal accounting solutions. I consent to having Williams Scarborough Gray, LLP (WSG) collect my details via this form. Williams Scarborough Gray, LLP All rights Reserved.